Samsung is reportedly in talks with LG Chem about the possibility of using the rival company’s batteries for its new smartphones amid safety concerns following the company’s Note7 debacle. 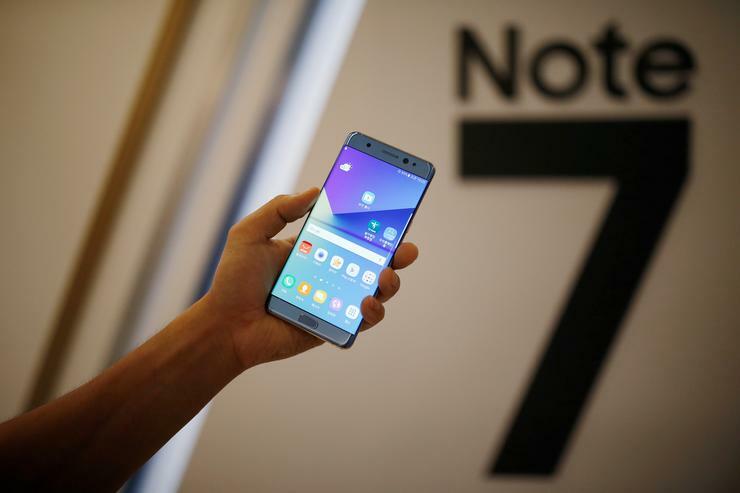 The move comes just weeks after the company announced it would cease production of its flagship Note7 following reports of the devices catching fire, with some even spontaneously exploding, due to a battery fault. The two South Korean technology companies are currently looking at ways to supply LG’s batteries to Samsung’s new smartphones, beginning next year, according to Japan’s Nikkei Asian Review. The move could see Samsung Electronics shift away from its reliance on the battery technology of its own subsidiary, Samsung SDI, which Nikkei suggests has traditionally provided over 70 per cent of the batteries used by Samsung Electronics, with Amperex Technology Limited (ATL) providing the remainder. According to an industry source, Samsung is hoping to lower its risks by adding a new battery supplier to its ranks, with the Note7 public safety debacle prompting a move within the company to consider increased outsourcing. Samsung has been under intense public pressure after several reports of Note7 units catching fire and exploding led to the discovery of a battery fault in the company’s flagship mobile device. “In response to recently reported cases of the new Galaxy Note 7, we conducted a thorough investigation and found a battery cell issue,” the company said in September. “We are currently conducting a thorough inspection with our suppliers to identify possible affected batteries in the market,” it said at the time. The company subsequently told retailers to stop selling the product, issued a recall, and on 11 October, confirmed it would cease production of the device. Just days later, Samsung revised its earnings guidance for the third quarter, suggesting that the Note7 fallout would cut around 2.6 trillion South Korean won ($AU2.9 billion) from its quarterly operating profit, to between 7.7-7.9 trillion won. Meanwhile, the company is facing legal challenges related to the Note7 fallout, with lawsuits from alleged victims of overheating batteries in the devices, as well as a proposed class action in the United States for compensation for the time it took Samsung to replace and discontinue the phone. At the same time, a new lawsuit has reportedly been raised, also in the US, over a Samsung Galaxy S6 Active allegedly catching fire and causing injury to its user. The case potentially raises the prospect that the Note7’s battery problem is not a standalone issue.